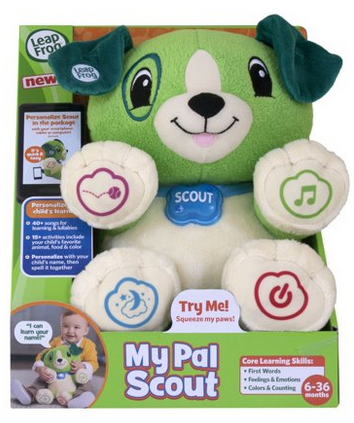 Walmart has rolled back the price on LeapFrog My Pal Scout to $14.88 (regularly $21.99). 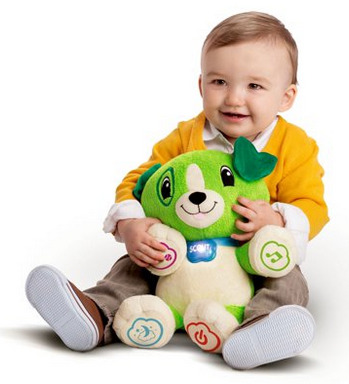 Snuggle up to learning with a true best friend! My Pal Scout is the lovable puppy who can learn your child's name and favorite things, for personalized daytime learning and nighttime comfort. Sing, play and move along to more than 40 songs and melodies. 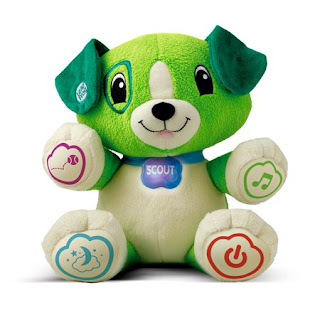 Personalize the learning in 15+ activities by teaching Scout your child's favorite food, animal and color.